My friend Barnaby Richards has just started a new weekly webcomic. The site is called anopendoorquietly. If the new project turns out to be even a quarter as wonderful as his weekly Postcards from Cosmo were on Trapped By Monsters, then the world is in for a treat. A Letter for Florence starts here. If, while more episodes are forthcoming, you’d like to check out Postcards from Cosmo, they start here. And here (with thanks to The Kraken) is another Door – a short piece of animation written and narrated by one of my absolute favourite authors in the world, Russell Hoban. 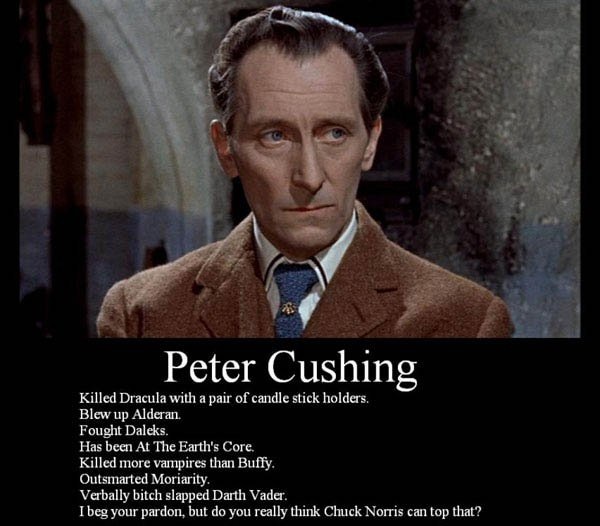 I might fault the extra ‘i’ in ‘Moriarty’ but with the rest I only heartily concur: it may well be that behind Chuck Norris‘ beard there is another fist, but in terms of miles covered and enemies suavely bested Peter Cushing is still the greatest. In another change from the Japan-related nature of my blog posts lately here’s In Chambers, an awesomely sinister short film by promising Norwegian director Aleksander Nordaas. I saw it on my favourite film website, Twitch. It’s been festering in my brain ever since. -Stand by for the announcement of the worthy winner of the Spine Chills / Crawlers Competition! -Meanwhile, my latest TBM manga tip is the flawed but wild and audacious The Drifting Classroom, by Kazuo Umezu. Not much (update – else!) to report: I’m currently in full research mode. 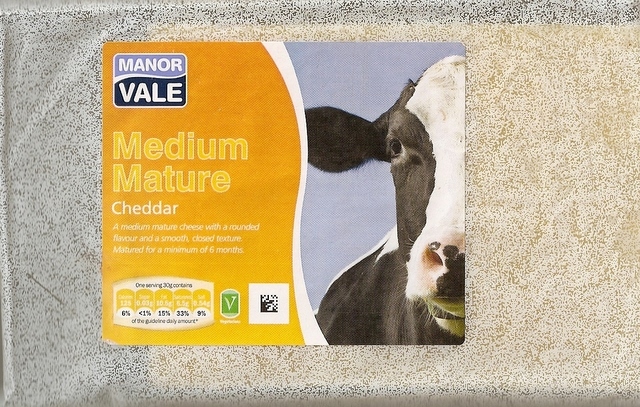 So instead of a blog post here’s one of my very favourite things in the entire world ever. The Big Snit has been cheering me up and making me grin for over twenty years now. Here’s hoping it does the same for you. 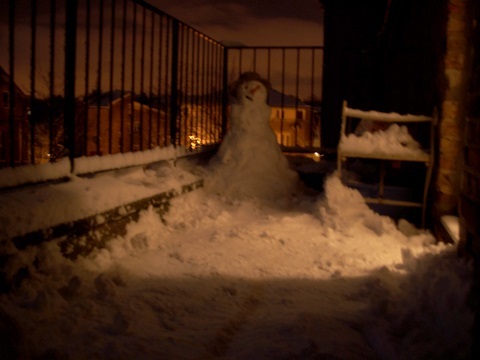 Found these two shady characters (above, below) lurking on my balcony on Saturday night. 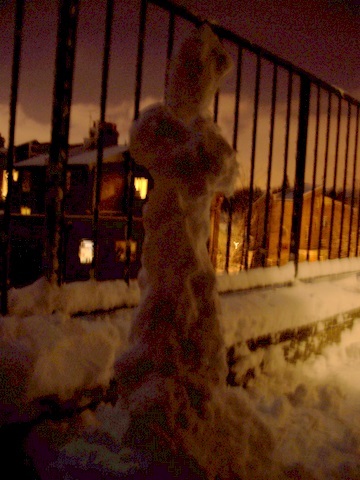 When I approached the first to try to make some friendly conversation he became quite aggressive. 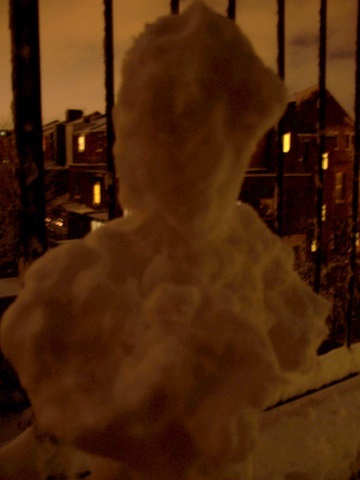 Here he is (below) telling me in no uncertain terms to get out of his face and go back indoors! It’s the time of year for roundups, when pundits fill space in blogs and papers by making lists of things. In my case, as it’s been about a year since the last time I did it, I thought I’d pass along some music recommendations. If my neighbours have ever wondered this year just what that racket is that’s been coming from my cave, here’s the answer: my current four favourite albums. Take one astonishing guitarist and singer. Add drums that sound like a washing machine being intricately and thoroughly hurled down a flight of stairs. 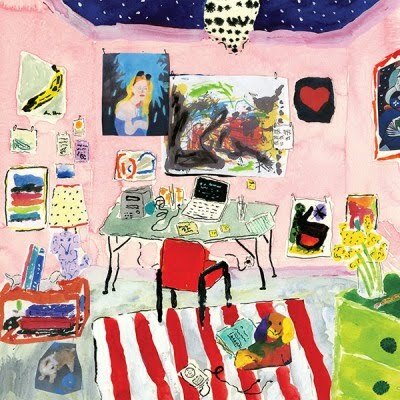 The result, in the case of Marnie Stern‘s eponymous third album (above), is a glorious, inspiring, joyful noise that makes you feel like you could leap out of the window and fly. 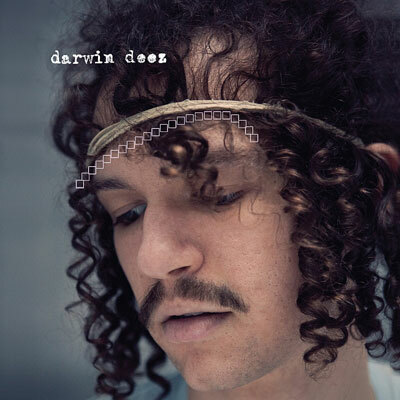 With plaintive Kermit the Frog-style vocals, sparkling guitar and irresistible shake-it-to-the-left-shake-it-to-the-right rhythms Darwin Deez‘s debut album is charming, chiming pop perfection. And check out his moustache! 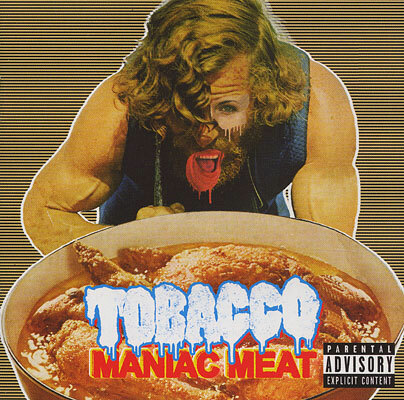 The ‘parental advisory’ sticker on Maniac Meat by Tobacco is, partly, a joke: the vocals on this album are mostly unintelligible and what few words I can make out don’t seem that rude at all. What is rude is the music: this raucous homebrewed electronic brouhaha never fails to put a grin on my face. Let it wallop you. 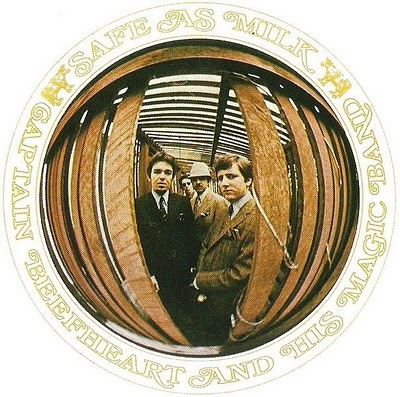 Lastly, in honour of Don Van Vliet who will be sorely missed, here’s an album I’ve adored ever since I first heard it when I was at school: Safe As Milk by Captain Beefheart. 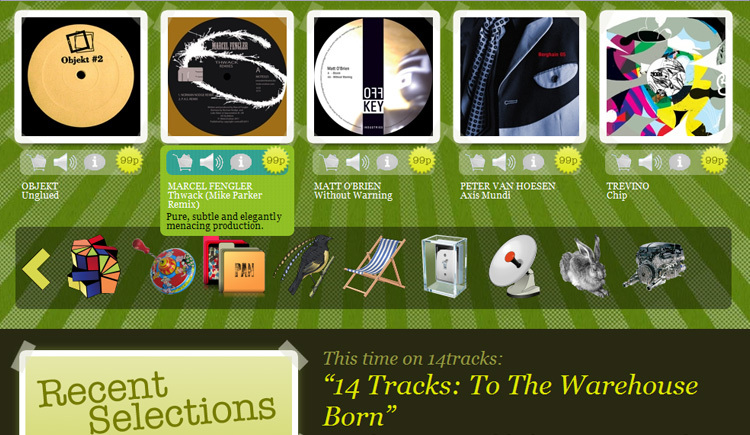 I’ve included links in the text above to pages where you can try the music out for yourself. Happy listening. That’s not a patch of moss, that’s… GAH! Comments on the Boing Boing post where I saw this video have identified the species as harvestmen. 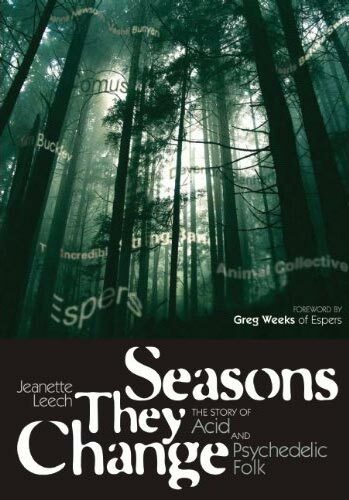 -But, as anyone who’s read Crawlers might wonder, are they something more sinister? 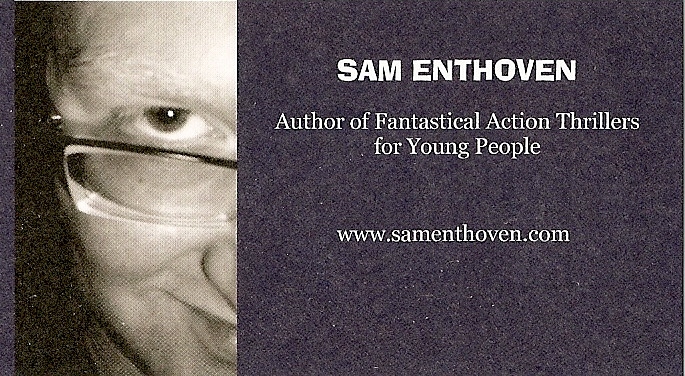 Here’s a link to my latest post to TBM, this week about a writer of some of the finest action fantasy around right now.